There is a minor but crucial character in the film Roma who isn’t listed in the credits and appears onscreen only for a fleeting moment. He’s mostly heard, not seen. Yet he makes a deep emotional mark on the movie. He’s a sweet-potato vendor, a long-standing figure in Mexico City’s populous community of itinerant street salesmen. And all we can hear of him is his signature call, several times throughout the film: a steam whistle that soars to a high-pitched scream and then tapers off, in pitch and volume, until it fades into some kind of mournful death. It may be one of the most doleful sounds I’ve ever heard, evoking longing and sorrow, opportunities squandered, love lost. Cuaron, 57, and I were in an SUV stuck in traffic in Mexico City on a recent morning. Now a resident of London, he was back in the capital for a brief trip to promote his film — an Oscar hopeful that took home the Golden Globe for Best Foreign Language earlier this month — and he set aside an hour to talk about Roma and show me the neighbourhood where he grew up, also called Roma. In the film, the sweet-potato vendor has company: the garbage collector swinging a hand bell; the knife sharpener tooting a pan flute; the honey seller hollering as if calling for a lost dog. These calls are all part of the tumultuous aural landscape of Mexico City, as familiar to the city’s residents today as they were in the 1970s, when the action in Roma unfolds. 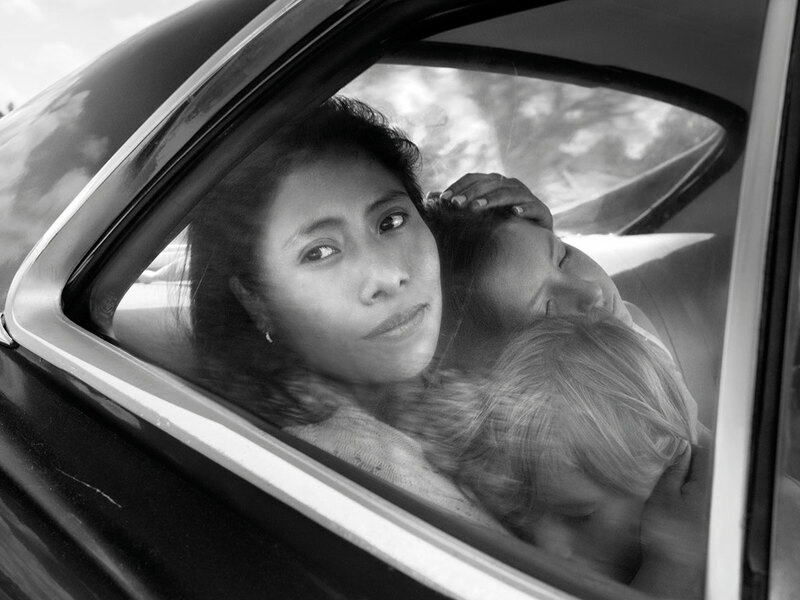 Roma, based on events in Cuaron’s life, is about the relationship between a domestic worker and her employer, a middle-class Mexican family that is coming apart. But the film is also about a place — Mexico City — at a particular moment in its modern history, and raises important questions about class, race and the aspirations of a developing nation. Much of the film is shot indoors, especially inside a house that was made to resemble Cuaron’s childhood home in Roma. But even when the camera moves inside, the sounds of the city follow it. During some of the quietest scenes, the distant roar of traffic and car horns, the barks of dogs and the chorus of street vendors find their way in, as if to remind us that this big burgeoning monster of a city lurks right outside the door, a character in its own right and one demanding respect. I bounce this notion off Cuaron to see if I’m on the right track. The film, he said, was as much about the broader social context as it was about the family at the centre of the story. The driver turned into Roma. From the cocoon of the SUV, the city’s roar had been reduced to a muffled purr. The neighbourhood was largely developed in the early 20th century for the city’s elite. Grand villas fronted onto tree-lined boulevards, and the verdant plazas and parks called to mind elegant green spaces in the capitals of Western Europe. The area’s popularity among the wealthy began to fade around the middle of the 20th century, as many residents moved to increasingly fashionable areas further from the city centre or to newly developed suburbs. They were replaced by a middle class — professionals, government bureaucrats, business owners, said Enrique Krauze, a prominent Mexican historian and writer. Crime and other complexities of urban life also became more prevalent. “In 1970 and 1971, the years that Cuaron recreates in Roma, the neighbourhood was a laboratory of real, not idealised, coexistence, with its prestigious schools and its cabarets and brothels,” Krauze wrote in a recent essay about the social and cultural significance of Roma. Cuaron lived on a quiet side street in the area known as Roma Sur, or South Roma. When he was young, Roma Sur was less affluent and more run-down than the northern half of the neighbourhood, Roma Norte. I told him I lived in Roma Norte. “The right side of the tracks,” he said with perhaps a tinge of sarcasm. Roma was hit hard by the devastating earthquake in 1985, which accelerated the flight of the affluent and the disintegration of the neighbourhood. In the past decade, however, Roma has rebounded and has become a vortex of the bourgeois and hip once again, supporting a thriving cafe society, art galleries, boutiques, restaurants and bars. In this renaissance, the lines of distinction between Roma Norte and Roma Sur have blurred, although not completely. “I think Roma Sur is still edgier,” Cuaron said, adding that he appreciated how Roma Sur still supported many mom-and-pop businesses and tradesmen’s workshops — some of the same textures he remembered from his childhood. We parked just off Insurgentes Avenue, a major thoroughfare that separates Roma Sur from the adjoining neighbourhood of Condesa. The SUV’s doors swung open to a chaotic soundscape: vendors and traffic. We made our way down the sidewalk, cluttered with merchants hawking cellphone cases and cheap jewellery, candy and glasses, manicures and shoeshines. 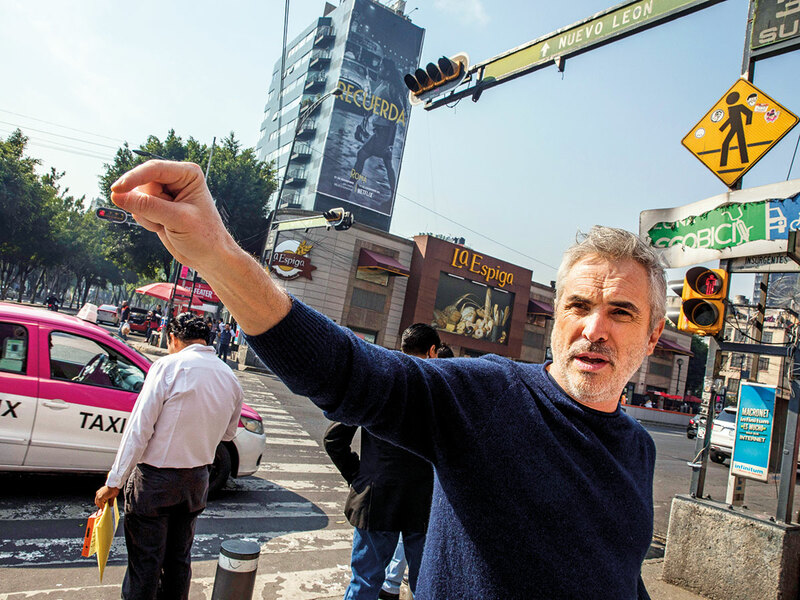 Cuaron stopped at the intersection of Insurgentes Avenue and Baja California Avenue, a free-for-all of pedestrians and vehicles, public transportation and vendors. A replica of the intersection — made to look as it did in the early 1970s — appears in the film when the lead character, the housekeeper, Cleo, runs after the children. But the intersection is quieter and more orderly onscreen, which is how Cuaron remembers it. In his youth, he said, it was a place resonating with aspiration; he reflects that spirit in his choice of businesses to include in the movie, like a travel agency and a veterinarian’s office. Now, however, it was urban tumult with no guiding principle. There were convenience stores and nail salons, nondescript office buildings and clothing shops. We make our way back to the car, once again slaloming through the dense crowds of pedestrians and vendors on the sidewalk of Insurgentes. We pass advertisements for Roma posted on a nearby bus stop. The film has been extremely well-received in Mexico by critics and the public alike. At a newsstand, Cuaron spots a photo of Yalitza Aparicio, who plays Cleo, on the cover of a Mexican magazine. “I’m so happy about that,” he said, gesturing towards the photo. Aparicio’s magazine images here have spurred debates about the underrepresentation of indigenous Mexicans in popular culture and advertising and about, more broadly, deep-seated racism and classism in Mexico. “I’m happy that it’s now coming up and being discussed,” he said. Back in the car, he pointed his driver towards Tepeji Street, where he grew up, a few blocks away. It’s a narrow, residential side street of mostly modest two-storey homes. 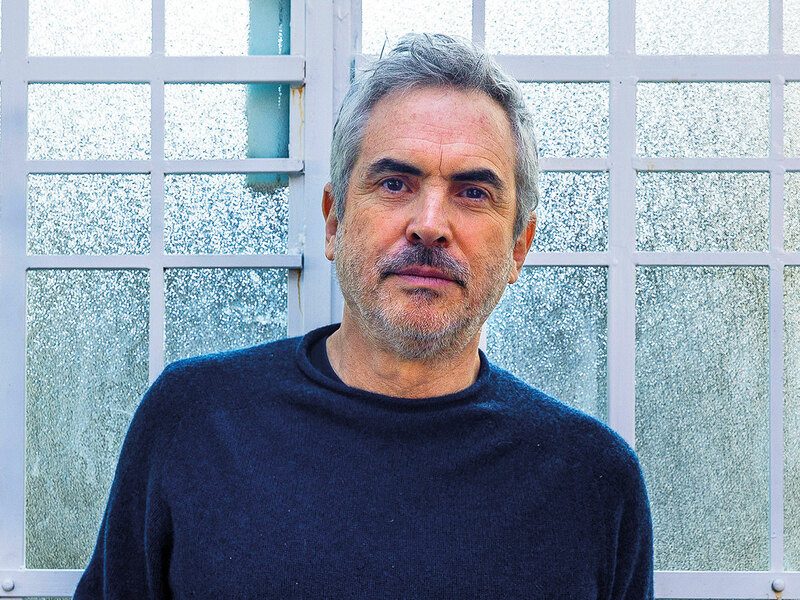 Cuaron bemoaned the kinds of changes that homeowners in the 1960s and 1970s started making, covering up some of the very details that gave the neighbourhood’s architecture its charm. “When they had a little bit of money, people would start modernising their houses because they wanted to belong” to the new era, he recalled. Cuaron and his production team were meticulous in their re-creation of how things were — and how he remembered them to be. They had hoped to shoot in as many original locations as possible and were able to do that in some cases — including the re-creation of the Corpus Christi massacre, when security forces attacked students during a march in 1971. But in other cases, the original locations had been so radically changed, sometimes as a result of rebuilding after the 1985 earthquake, that they were forced to create locations from scratch. This process began with long conversations between Cuaron and the film’s production designer, Eugenio Caballero, who also grew up in Roma. They supplemented these talks with extensive archival research. They built from scratch a replica of two blocks of Insurgentes Avenue and also adapted it for a scene meant to recall Baja California Avenue. And they recreated parts of a hospital. But their most exacting attention to detail was brought to bear on the re-creation of Cuaron’s childhood house. The original house — 21 Tepeji St — had undergone so many changes that it was unusable for the production. Instead, they adapted the facade of a house across the street for the exterior scenes on Tepeji Street. They adapted a second location for the rooftop shots. And for the patio and interior views, they took another house, which was slated for demolition, and essentially remodelled it to replicate Cuaron’s family home, with attention paid to the smallest details: They hired an artisan to make reproductions of the original tiles, using techniques from the early 20th century. Mexico City, he said, is a place in constant tension between what it is and what it was. “For me, it’s a place filled with past,” he said wistfully. Then the woman took a pail of water and started splashing the sidewalk and the facade of the house. “That sound!” he exclaimed, his eyes lighting up. The film opens with Cleo scrubbing the family’s driveway using water and a broom, and Cuaron seemed pleased — perhaps even reassured — by this intersection of life imitating art imitating life. For all that had changed, there were at least some things that remained as he remembered them.